Wessex Archaeology was funded by Historic England (formerly English Heritage) through the Aggregate Levy Sustainability Fund (ALSF) to assess the importance of shipwrecks from the 19th and 20th centuries lying around the coast of England. There are thousands of shipwrecks lying in waters around the coast of England. The majority of these shipwrecks date between 1860 – 1950. Although many of these shipwrecks are often visited by recreational SCUBA divers and heritage professionals it can be difficult to gauge how important each wreck is. The Assessing Boats and Ships project looked at the records of over 2700 shipwrecks to better understand what makes a shipwreck significant. The project has produced information to assess the significance of shipwrecks discovered during marine aggregate dredging. The results will help to protect and preserve important archaeological sites on the seabed and enable better understanding of our maritime past. Assessing Boats and Ships consists of three period reports and a methodology report. The results have been disseminated via a programme as school workshops and a legacy of teacher packs. Data from this project are available to download from the Archaeology Data Service. The two-year project, which ran from 2009-2011, looked at different aspects of shipwrecks which addressed the life-cycle of a boat or ship. Wrecks were subject to a contextual study which considered the ways in which they were built and used, the manner in which they were lost, how they have survived and how they have been investigated (BULSI System). The overall aim of Assessing Boats and Ships is to produce a national stock-take of wrecks and to review them in light of the framework of special interest for an earlier project, the Marine Class Description and principles of selection for aggregate producing areas (ALSF 5383). A historical thematic study was also completed to provide additional information for assessing the special interest of a wreck. The primary resource consulted for the stock-take was the National Record for the Historic Environment (NRHE – previously the National Monuments Record). This information has been supplemented with the National Historic Ships Register and the National Small Boats Register. During the course of the project other relevant sources were also considered, such as RNLI information, Lloyd’s List and information from the Board of Trade now the Department for Business, Innovation and Skills, as well as relevant archives and museums. The results of the project have been widely disseminated to heritage professionals, to people working in the marine environment, and to the wider public through Wessex Archaeology’s outreach programme, Time Travelling by Water. The results of Assessing Boats and Ships are presented in three period reports (1860-1913, 1914-1938 and 1939-1950) alongside a methodology report. The national stock-take was a review of known wreck data from the NRHE for the period 1860-1950. The data used was from the NRHE records as of May 2009. The data was collated into a Boats and Ships database. The design of the database illustrated the ‘BULSI’ system of wreck assessment. The database was easily searchable for various attributes of shipwrecks. Simple queries could be executed, such as all records with a hull made of “wood”. More complex queries examining multiple attributes could also be run, such as all records with a propulsion of both “sail” and “steam”. Range queries, where numerical values could be queried in a “from” and “to” manner were also undertaken. For example, the wreck data could be queried for wrecks built between 1860 and 1869. The results of each of these queries were discussed in light of historical literature and documentary sources. These discussions addressed the relationship between the archaeological record for known wrecks and current historic understanding of England’s maritime past. There are many interesting stories attached to the shipwrecks recorded around the coast of England. The National Record for the Historic Environment can tell us a lot more than how many wrecks lie on the bottom of the sea, they can tell us how they ended up there. Three examples have been chosen to illustrate each period of Assessing Boats and Ships. The national stock-take and thematic review provided a back-drop against which the special interest of wrecks of this period could be assessed. Current Relevance – direct relevance to current activities. Relative factors enable the wrecks of boats and ships to be considered in relation to one another. Relative factors include rarity, representation, diversity, survival, setting and context, and grouping. If a boat or ship is considered of special interest but stands outside the main themes and trends identified throughout the review, it may be considered as exceptional. The complexity of assigning special interest to a vessel demonstrates how crucial this project is to develop our understanding and to protect our marine heritage. 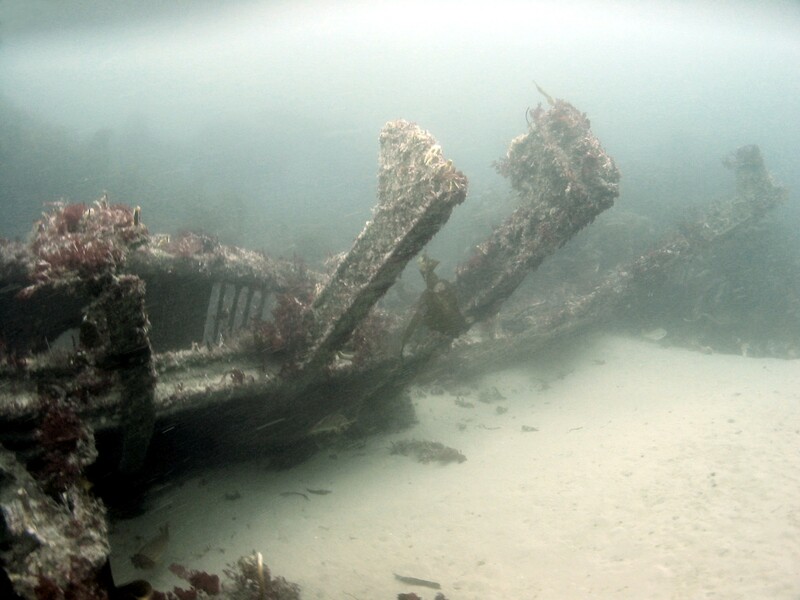 Wessex Archaeology uses the ‘BULSI’ system to study the career of a wrecked vessel. The system looks at the vessel from its construction, through to its use and loss and then its history as a wreck. The system has been proved on a wide variety of projects, including regional environmental characterisations and the assessment of individual wrecks. B – Build provides information about the building of the vessel, including the date and place of construction, the companies and individuals involved, and any refits. This category also looks at the design of the vessel, including the dimensions and tonnage, the materials used, and propulsion and other engineering details. U – Use provides information on what the vessel was used for, including changes of use during its career. Registration and nationality information is recorded here, together with details of companies and individuals associated with the vessel, such as owners, managers and crew. For merchant ships, details of the type of cargo can be recorded, together with information about ports of call to illustrate vessel routes. L – Loss explores the numerous different circumstances in which a boat or ship may be lost. It therefore encompasses its date of loss, place of loss and reason for loss. Loss of a ship may also result in loss of life, which may be an important factor when considering the special interest of a particular vessel. S – Survival describes the evidence for the history and survival of the vessel as a wreck and can include information from a wide variety of sources including diver descriptions and geophysical and hydrographic surveys. 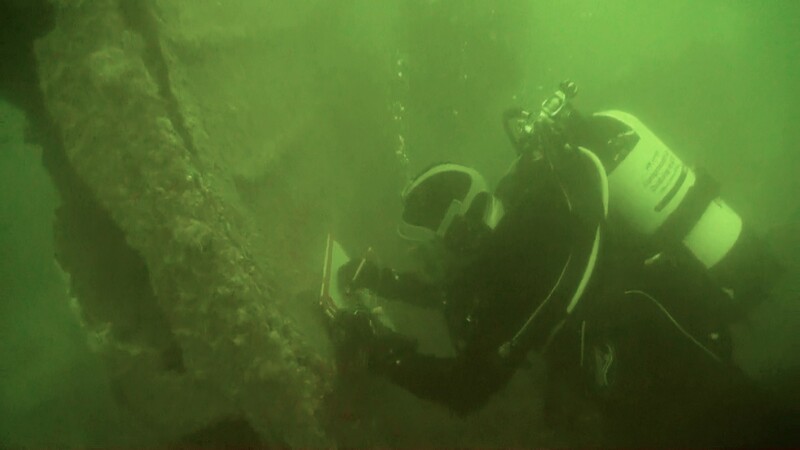 I – Investigation describes the history of investigation of the wreck including the involvement of archaeologists, salvors and others. As of May 2009, the NRHE recorded 518 wrecks lost during the period 1860-1913. It was a time of revolutionary change when the full impact of the industrial revolution and Britain’s commercial and colonial expansion was felt in the maritime world. During this period, there were advances in naval engineering that changed the face of shipbuilding forever. In little more than fifty years, wooden hulls were replaced by iron then steel; and sail gave way to steam propulsion. The development of screw driven vessels enabled steam vessels to compete with sail in terms of speed and distance covered. Changes in ship technology created greater opportunities for naval architects to create specialised designs for a specific purpose. Gone were the versatile merchantmen, replaced instead with trampsteamers, cargo vessels and cruise liners. 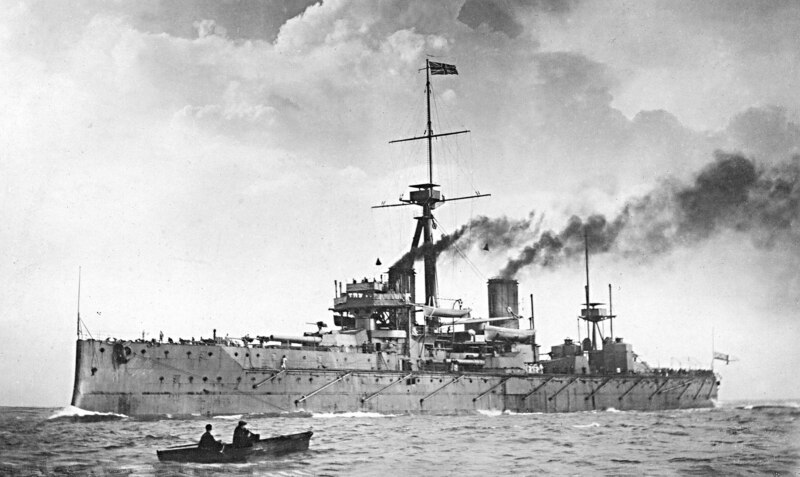 While Nelson’s sailing navy became armoured dreadnoughts. By the end of this period sea travel was safer and England was a major port of departure and destination for vessels all over the world. The resource of wrecks is likely to be important both nationally and internationally. Towards the end of the period Britain was on the brink of war. There are likely to be ships built in an earlier period that were lost during the conflict and many of the vessels that took part in the conflict would have been built in the period 1860-1913. In the 19th century, British trade grew and the seas became a busy highway for transporting goods and people. On the morning of Wednesday 9 August 1882 Mosel, a German steamer, was enroute to New York from Germany via Southampton. Mosel was carrying 620 passengers (mostly emigrants) with additional cargo of coins, mail and woollen goods. The vessel also had around 100 crew. At 8am she was sailing at around 13 knots through thick fog when she ran ashore near Lizard Point in Cornwall. There was no immediate danger and passenger were asked to pack their belongings before being evacuated. The following day divers examined the hull and noted that the Mosel was smashed from her stern to foremast and she was badly flooded. Pumping equipment was brought to the scene and work began to refloating the vessel, however around two weeks later she broke in two and finally sank. There was no loss of life and much of the cargo was salvaged. Several artefacts have since been recovered from the wreck. Many of these are personal items and include penknives, combs, toothbrushes, beads and buttons, and 9 mouth organs. The Mosel illustrates the mid-stage technological development of the period 1860-1913, when ships changed sail to steam propulsion. She had a length of 350ft and was capable of both steam and sail propulsion. As of May 2009, the National Record for the Historic Environment lists 1358 known wrecks lost during the period 1914-1938, the majority of which occurred during the First World War, 1914-1918. Additional information about 269 vessels on the National Small Boat Register and 550 on the National Historic Ships Register was included in the thematic review. The First World War saw a massive development in new technologies and methods of fighting at sea including the first widespread use of submarines and mines. As well as the birth of naval aviation. During the First World War Britain relied heavily on merchant shipping to receive food and raw materials. German submarines began targeting the shipping route bringing supplies from the US. This eventually led the US to enter the war in 1917. Merchant ships were put into defended convoys, a method that proved very successful throughout the rest of the war. The interwar period saw an initial boom in merchant shipbuilding followed by a decline during the worldwide depression in the 1930s. This decline was also mirrored by the slow down in development of naval fleets. Some areas of maritime activity did continue to prosper in the interwar period, such as leisure sailing in what came to be known as the “Golden Age of the Liner”. The stern frames, armoured cruiser, HMS Drake. On 2nd October 1917 she had just escorted a convoy across the Atlantic when she was torpedoed by U-79. © Crown copyright, photo taken by Wessex Archaeology. World War One saw the first use of submarines in naval warfare. UB-74 was one of the casualties of this period. In the evening of 26 May 1918, the yacht HM Lorna was patrolling in Lyme Bay, Dorset when a periscope was sighted 50 yards off her bow. As she sailed over the spot two depth charges were dropped by a crew member into the water causing a mass of wreckage and oil and air bubbles to come to the surface. Four men came to the surface, three were killed by another depth charge. The fourth man was hauled on board Lorna. He managed to confirm the identity of the submarine as UB-74 before dying 3 hours later. There were no survivors. UB-74’s story is illustrated by further records from the NRHE. Showing that this wreck was also the cause of two other shipwrecks around the coast of Britain. In December 1917 Luciston, a Scottish cargo steamer, was hit by a torpedo from UB-74 before beaching in the Solent. Then, in April 1918 the French steamship Maroc was torpedoed and sank by UB-74 off the southwest coast of Cornwall. As of May 2009, the National Record for the Historic Environment listed 861 known wrecks lost during the Second World War 1939-45. There are a further 49 wrecks recorded for the period 1946-1950. 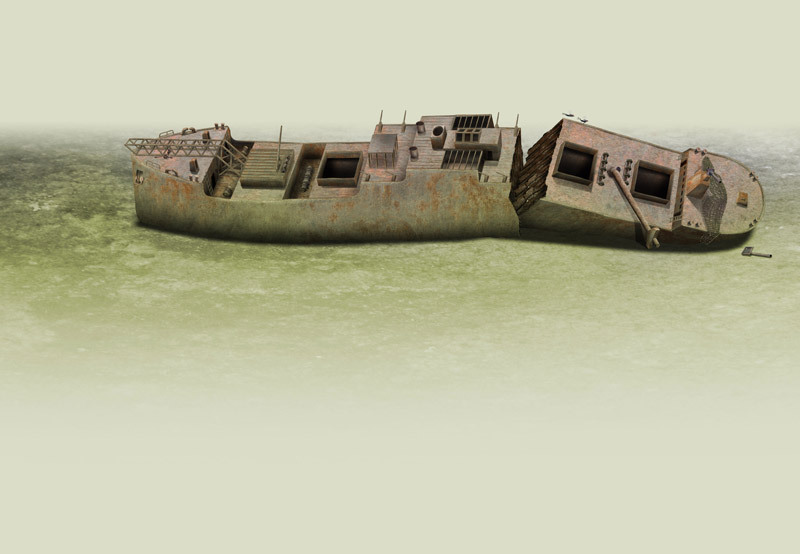 The Second World War significantly influences the record of wrecks. Many of these records illustrate the changing use of vessels as a result of requisitioning. Requisitioning was when civilian vessels, such as fishing trawlers and yachts, were adapted for military use. Many of these were originally built in earlier periods demonstrating the longevity of some vessels. The development of aircraft and weapons such as mines is also documented. Some vessels are better represented in the records that others. Recreational vessels, such as yachts, and cargo and transport vessels are well represented. In contrast passengers vessels are relatively rare. As expected, relatively large numbers of military vessel wrecks are recorded. The themes of industrial, law & government, commercial, agriculture and subsistence are less well represented by wrecks of this period. Newly discovered wrecks that illustrated these themes would likely be of special interest. HMS Patia was a requisitioned steamer that had been converted into an aircraft catapult vessel during the war. On 27 April 1941, she was steaming north on her maiden voyage from the River Tyne towards Belfast. Suddenly, a German Heinkel HE111 appeared in the sky flying low firing a machine gun and dropping bombs. On it’s second run Patia’s gun-crew were prepared and managed a direct hit on the German bomber sending it crashing into the sea. However, before it crashed one of the plane’s bombs landed on the Patia causing a huge explosion. Shrapnel flew across the vessel killing and injuring many of the crew. She rapidly began to sink and had to be abandoned. Thirty-nine crew, including the captain, were killed. Thirty-one crew, many injured, managed to drift ashore in a lifeboat. 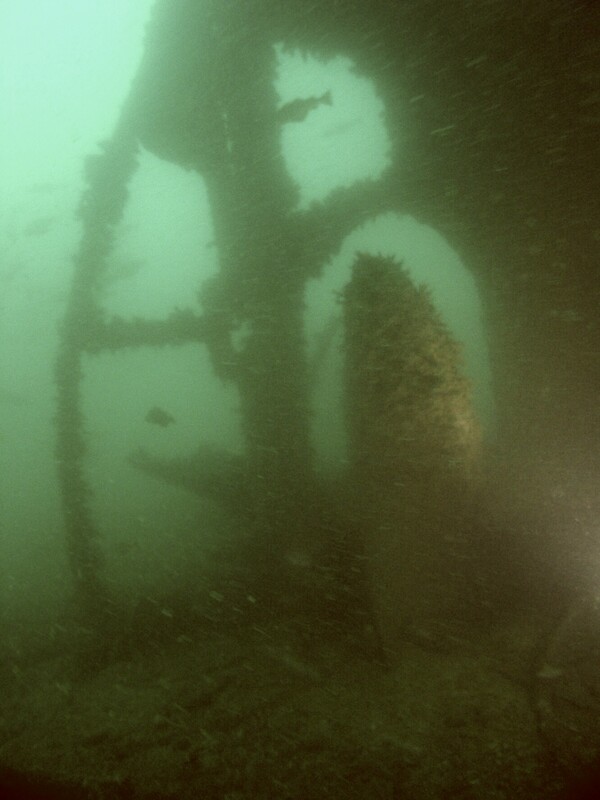 Today, the wreck sits in 57-63m of water and is still virtually intact. However, due to the depth it is a difficult site to reach. In 1997 some of the ship’s survivors visited the area to meet local people who helped them in their time of need. The wreck of the German Bomber is also recorded on the NRHE. HE11 had four crew on board when it crashed into the sea. The crew managed to escape the sinking aircraft, three of them were rescued from the water and taken as Prisoners Of War but the fourth, a mechanic, was drowned. HMS Patia was one of the many civilian vessels that were requisitioned during World War Two and converted for military purposes. Download educational resources via our Learning pages. As an educational charity, Wessex Archaeology aims to make the results of this project available as widely as possible – to both professionals and the general public. 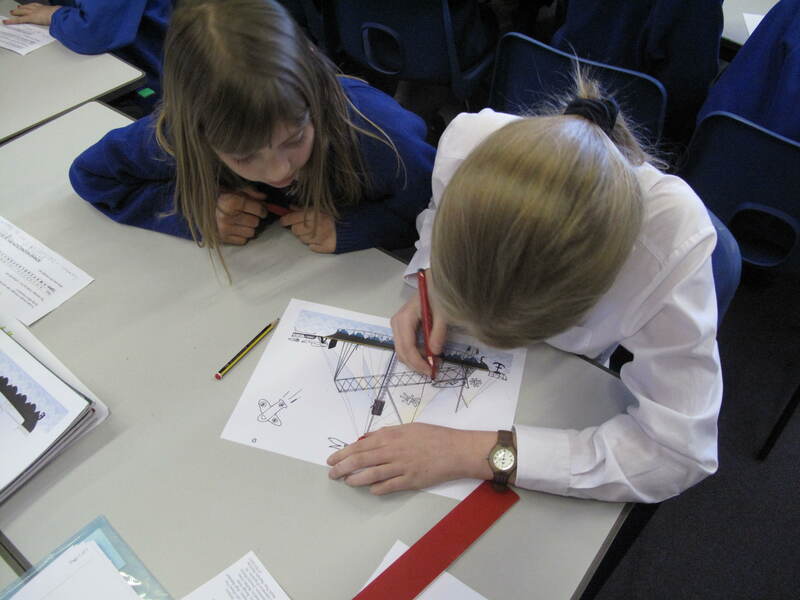 This project has been made available and accessible to the public through Time Travelling By Water, the outreach element of Wessex Archaeology’s coastal and marine activities. The Victorian workshop is inspired by the first period of Assessing Boats and Ships (1860-1913). 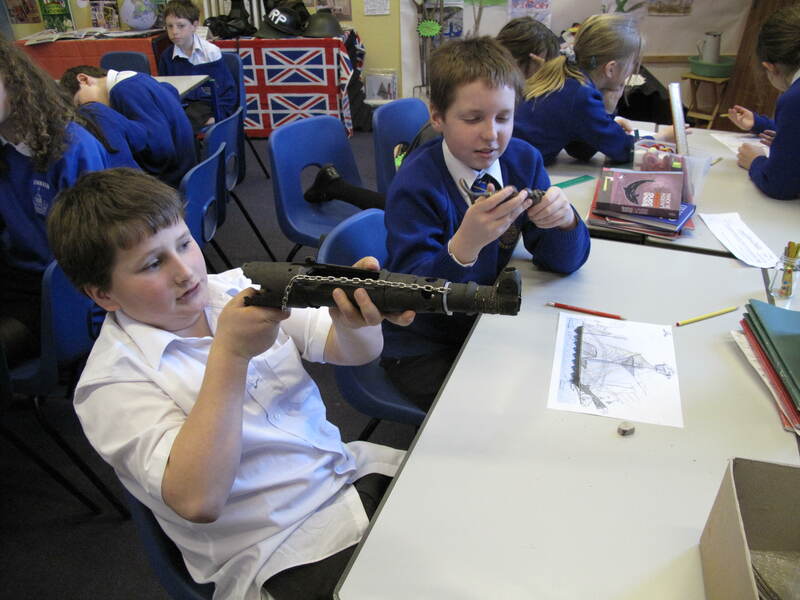 Children are given an introduction to marine archaeology, then examine and identify artefacts from different classes of vessels used during this period. Children also investigate the development of ship building technology by spotting the differences between two ships built just 50 years apart. Finally, the children learn how to tie different knots which is essential on any boat, not just those in the past. The second workshop focuses on the third period (1939-1950) of Assessing Boats and Ships. Children are given an introduction to marine archaeology, then see the array of ships used during the World War 2 conflict. Messages are deciphered from substitution ciphers telling children where these different vessels, both allied and enemy, are positioned across a coastline map. The class looks at how vessels were requisitioned during the war such as HMS Patia. Children use their creative skills to adapt civilian vessels for military use. Finally, WW2 artefacts found on the seafloor, and reported via the Marine Aggregate Industry Protocol for the Reporting of Finds of Archaeological Interest Protocol, are passed round for the children to identify. Two teacher’s resource packs are also available. These can be downloaded via our Time Travelling By Water pages.